Leesburg Police officers took part in a new training program that teaches them to constantly gauge their emotional state so they do not react in a negative manner to tense situations. Randy Friedman, an athlete and co-founder of RITE (Racial Intelligence Training and Engagement), tasked with teaching officers to be aware of their emotions, said the training focuses on what the officer feels so he or she can improve their reactions. The idea is to de-escalate situations. Police carry in their vehicles a placard depicting an officer standing next to an emotional energy ladder with 18 emotions listed on each rung of the ladder. The bottom of the ladder lists negative emotions such as fear, guilt, jealousy, hate, anger, blame, worry, etc. But the further you go up the ladder, the more positive emotions occur such as happiness, passion, joy, gratitude and love. “The higher you get up the ladder the more positive the energy,” she said. “It is controlling our emotions to help others deal with theirs,” Leesburg Police Chief Rob Hicks said. “There are folks that are not going to listen to us. 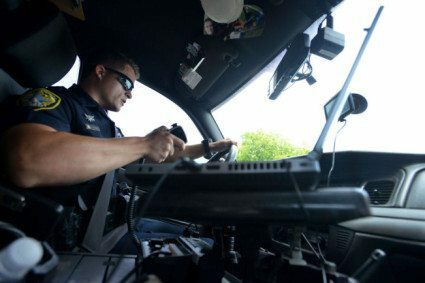 We have to figure out a way to do our job.” Hicks said it also makes the officer more compassionate because if they had to improve their mood on a way to a call, they can empathize with others who may also be having a bad day. When officers respond to a situation where something may happen, they want the encounter to be as positive as it can be, Hicks said. 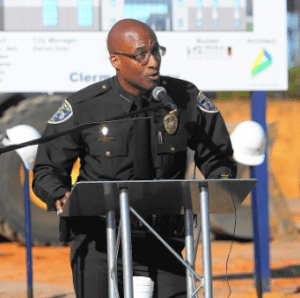 Clermont Police Chief Charles Broadway said the training is all about “knowing thyself.” “I think it points out where you are and where you need to be to be effective when you are dealing with people,” he said. Leesburg Senior Detective Alberto Venta said it is all about “making sure we are aware of our feelings so we don’t reflect that on the public. “If we are having a bad day, we are going to have a bad interaction with someone,” he said. The program’s goal is to improve employee performance, department morale and community relations, Friedman said. “There has been several times I refer back to that (visual),” Leesburg Officer Joshua Copeland said. “You think about it. It stands out to you. You have to be able to understand and share feelings with people. You have to be on their level on things. 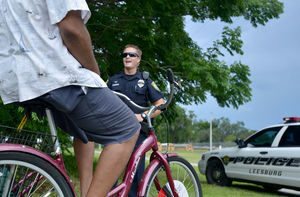 Mount Dora Police Deputy Chief Robert Bell said while the police department has a great relationship with the community, the training helps to strengthen it. “You have good days and bad days,” he said. “This training kind of helped me recognize when that bad day is shining through and how to deal with it. It is all about your verbal skills. “Your verbal skills are only as good as your mindset. If he begins to get agitated at a situation, Bell said he catches himself. An officer’s self-analysis of his or her feelings is referred to as emotional intelligence, and their interaction to their surroundings in a fair and appropriate way is known as social intelligence, Friedman said. When the two are combined, she said it results in the officer becoming more empathetic. 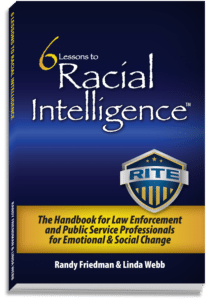 RITE Academy, (Racial Intelligence Training & Engagement™) – It is the practice of using Emotional Intelligence (EI), Social Intelligence (SI), and RITE Tools (like the Ladder), to treat ourselves and others fairly. Unique training that improves the Officer, the Profession, and the Community.
? 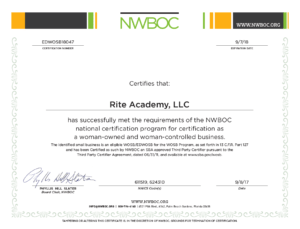 RITE Advanced Officer Training available near Orlando, FL – Click HERE ?